He was the first and so far the only Portuguese Literature Nobel. I must have been about 16 when I first read “Baltasar and Blimunda” and it’s still one of my favourite love stories. His opening scene is burnt in my memory: the King’s visit to the Queen’s bed. The de facto beginning of the story of the Convent of Mafra, which King Joao V builds to thank God for giving him an heir. It was also my entry point into the world of historical fiction. I love Saramago, so I’m definitely feeling this loss. I’m just glad that I still have so much of his rich back catalog to discover (I’ve only read two of his books! ), and that he has a new novel being published in the Fall. 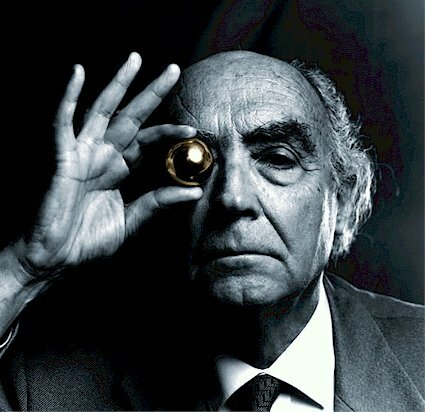 Through literature, Saramago will never truly die. You probably mean “The Trip of the Elephant” (not sure about the exact translation). It’s a lovely book and although not his last (“Caim” has that claim), I saw it as his swan song. It’s dedicated to his wife Pilar “who wouldn’t let me die”.